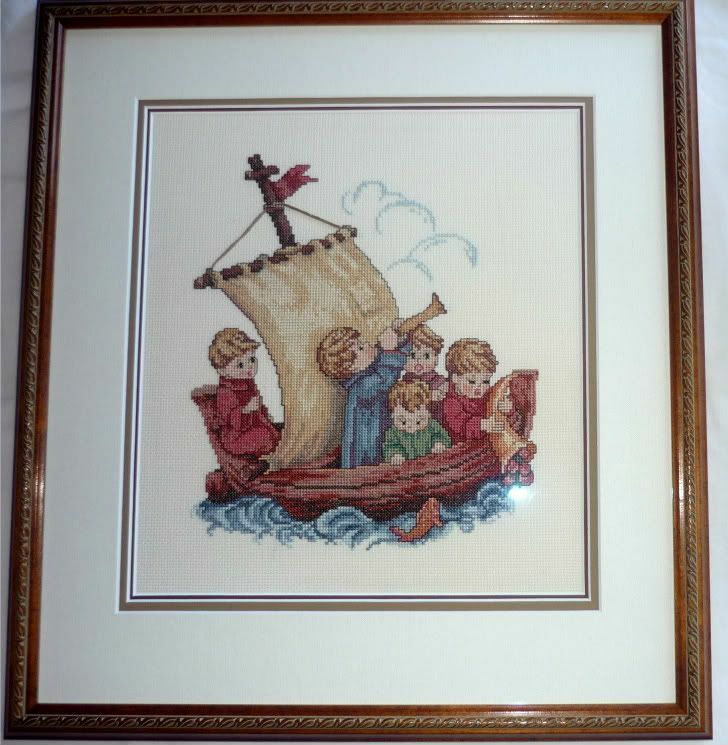 Naughts & Cross stitches: Framed and STUNNING! Well I went to the framers yesterday and I came back with two absolutely gorgeous cross stitches and a MUCH lighter wallet! Let's just say I am going to do as much as possible myself next time. 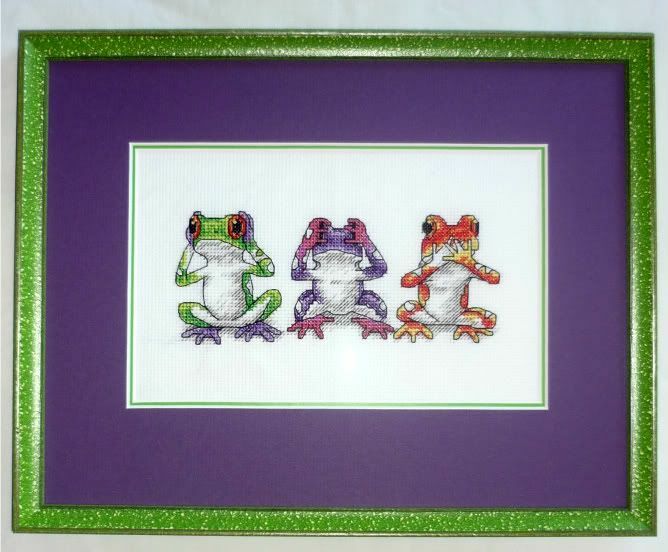 Don't the frogs look amazing in that colour? I never would have picked those colours out myself. The lady in the shop was really good and had such an eye for picking the right combination.